Carol still looks absolutely stunning. Did Gary Shail pepper the air with naughty words again? No, he wasn’t as er, shall we say ‘relaxed’ as he was last year. He is back on the wagon. He sadly did have a relapse not that long ago. Gary is very open about his issues on FB so I am not telling you guys stuff that isn't in the public domain. As I said before he has bent over backwards to sign stuff for me in the past. Can't see many doing that these days. Having had coffee with Carol in September 2016 when she was touring in the play 'Dead Sheep', I can confirm she is absolutely beautiful. Come on do tell more Zimbo, how come you were having coffee with the lovely Carol? Did you just happen to bump into her? I got talking to Carol on a certain social network site. arranged to meet when she was touring with that play, where she was excellent as Geoffrey Howe's wife. I met her in Birmingham and can confirm that she is a lovely person too. Known in legal terms as ‘stalking’. Great work on this thread, many thanks to felix and Edster for all your hard work gents! I just realised I clean forgot to talk about what happened in more detail. As it happens I did talk to Ahmed El Shenawi at the end and when I told him that I had been at Uni doing an editing course, he said: "My daughter in Dubai is doing that too!" He was really nice, Robert Gillseppe I had a nice chat with too. (And I bought his book) I told Ahmed as well that it was because of my Dad that I got into The Professionals, and he said to "Say hi to your father" which was pretty cool. And I don't know if I've actually finished reading the first one yet! I would sell your old copy. I got over £90 for mine and it had a damaged cover. Currently asking silly money for it on Amazon. 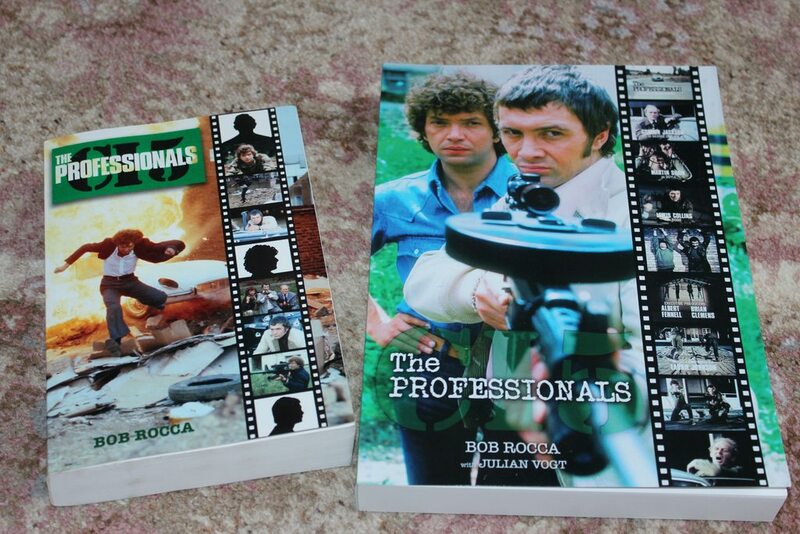 Bob's new book is an updated version so I can't see any reason (unless yours is signed) for keeping the original book. You could put the money to buying a Limited Edition S12 BD of DW. Yeah, maybe. But I'll wait until the DW blurays come out at a reasonable price (i.e £25) before buying them.